The Tecno Pouvoir 2 is the successor of the Tecno Pouvoir 1 that was quietly launched earlier in April. If you're trying to figure out how to pronounce the name; don't bother, it's French for Power. 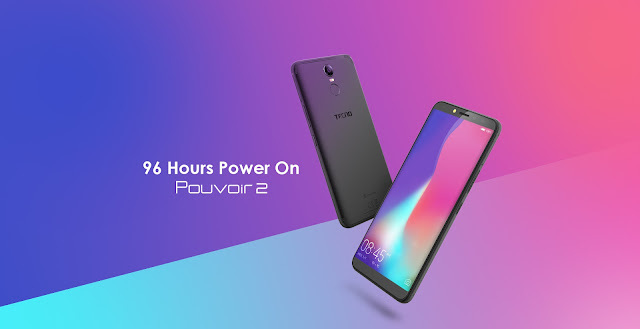 The phone comes with a mammoth 5,000mAh battery capacity, and considering the fact that there are now two devices in the series, it's safe to say the Tecno Pouvoir series has come to replace the battery-focused Tecno L series. The Tecno Pouvoir 2 imitates recently-launched Tecno devices in terms of display size, featuring a 6-inch IPS LCD display which has an HD+ (720 * 1,440) pixel resolution, like the Tecno Camon X Pro. It also has an 18:9 aspect ratio which makes the phone seem not all that big. The smartphone's bezels are at a minimum, and it has a metal unibody design that gives it a premium look and feel. The device is just 8.5 millimetres thick, despite its humongous battery capacity, and sports a fingerprint scanner placed below the LED flash on the rear. The Tecno Pouvoir 2 is powered under the hood by a quad-core 1.3GHz processor and Mali-400 GPU. The processor is unnamed, but it's most likely one made by MediaTek. The device comes with 2GB of RAM for multi-tasking and has 16GB of internal storage onboard, which can be expanded up to 128GB with the use of an external microSD card. The Tecno Pouvoir 2 packs a 5,000mAh battery that can power the device for more than two days before requiring a recharge. This is the largest battery capacity we've seen on a Tecno device so far, but it's quite very disappointing that it doesn't come with a fast-charging mechanism; now you'll have to charge the phone for upward of four hours in order to get it to 100%. The Pouvoir 2 sports a 13MP camera with autofocus and dual-tone LED flash on the rear, while an 8MP camera helps to take selfies with a basic bokeh effect at the front. The phone also comes with a software feature that allows you to unlock and lock the phone (and apps) with face recognition, similar to FaceID on high-end smartphones. The Tecno Pouvoir 2 comes with a dual micro-SIM slot and supports 4G LTE network connectivity. It runs on Android 8.1 Oreo out of the box with Tecno's custom UI for its Android smartphones, HiOS layered on top. Dimensions - 159.8 * 76.8 * 8.5 mm. 16GB Internal Memory, expandable up to 128GB via microSD. 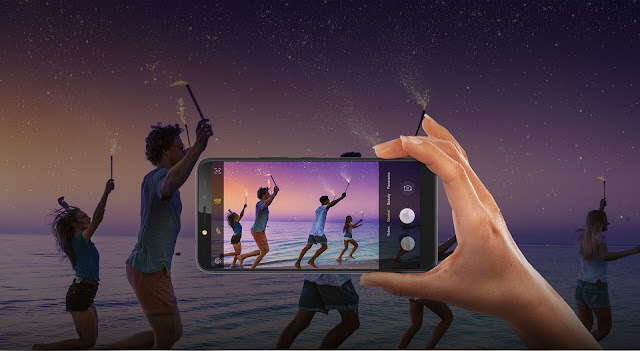 13MP Rear Camera with Autofocus and Dual-tone LED Flash. Android 8.1 Oreo with Tecno HiOS. 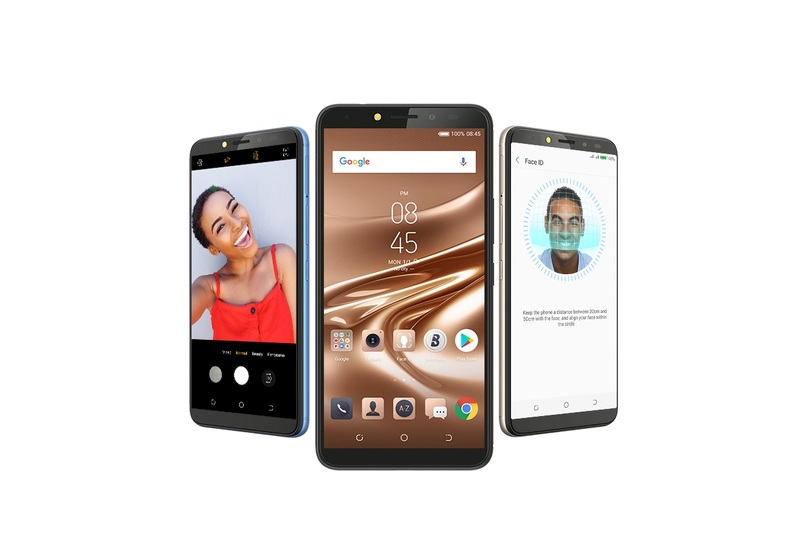 The Tecno Pouvoir 2 is currently available in online retail stores for N47,000 and will be made available in offline retail stores in Nigeria soon.